I am an Australian author of more than twenty titles. I've been successful in two literary competitions, and published in prizewinners' anthologies. I enjoy writing in several genres including sweet romance and Jane Austen fan fiction. 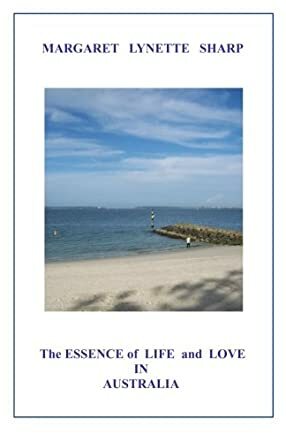 The 28 short stories in The Essence of Life and Love in Australia by Margaret Lynette Sharp are set against the backdrop of both city and country life in Australia. The collection is diverse and the stories explore reunion, ambition, attraction, serendipity, and the illuminating aspects of human nature. Every story in the book is emotionally satisfying as they cover a range of topics. They are simple, elegant, easy to read, well written, and evocative. The stories are short and crisp and they throw light on human emotions and character in some way or the other. The book is a good one to read while traveling, or sitting in waiting rooms, especially when readers are pressed for time, because of the short length of the stories. I like the way the author has handled emotions between the characters and woven moments into the stories effectively, making them real and relatable. The character portrayal is realistic and readers will be able to connect well with many of the characters. Many stories in the collection are uplifting, some are insightful and thought-provoking, and some are lighthearted, arousing the curiosity of readers as they turn from one story to the next. It is difficult for me to say which story is better than another because each story has its own identity as it explores the complexities and intricacies of life and emotions. The Australian setting is interesting and Margaret Lynette Sharp's style of writing helps readers get to the heart of the story.